HEAT oven to 325°F. Stir graham cracker crumbs, sugar and butter in medium bowl until evenly moistened. Press into bottom and halfway up sides of 9-inch springform pan. BEAT cream cheese and sweetened condensed milk in large bowl with electric mixer on medium speed until smooth. Beat in eggs and vanilla until blended. STIR English toffee bits and flour in medium bowl to coat toffee bits. Stir 1 cup into cheesecake mixture. Pour into prepared crust. 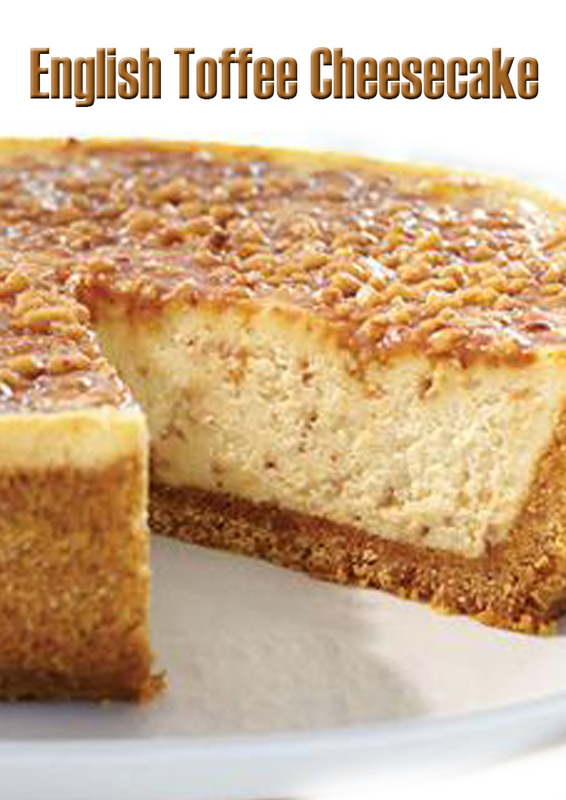 Sprinkle remaining English toffee bits evenly over cheesecake. BAKE 60 minutes or until almost set in center. Cool on wire rack 1 hour. Chill several hours or overnight. Drizzle individual servings with caramel topping. Sprinkle lightly with milk chocolate toffee bits, if desired.